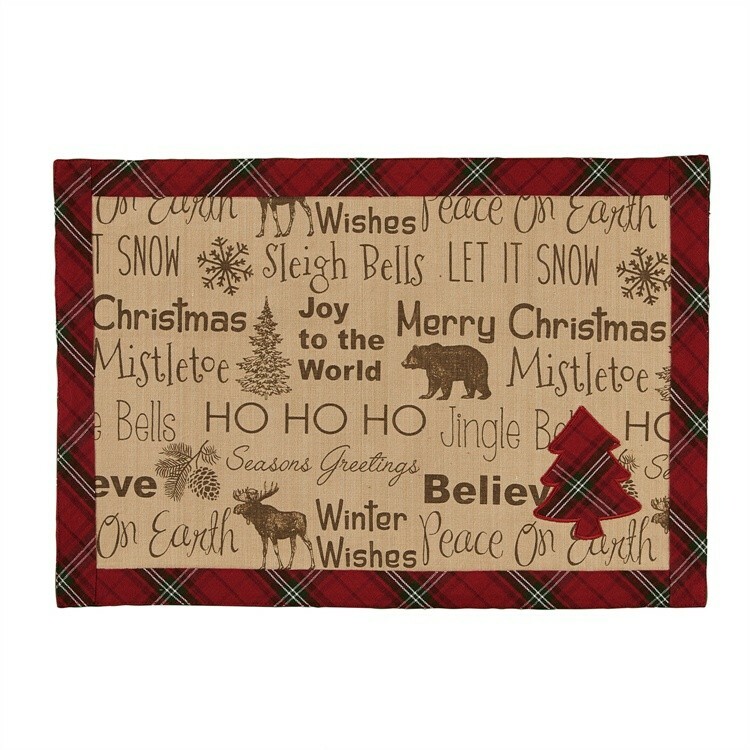 This Highland Holiday Placemat is the perfect addition for your table gathering Christmas Decor! 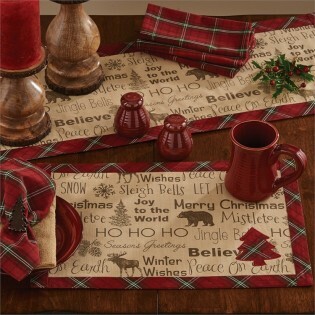 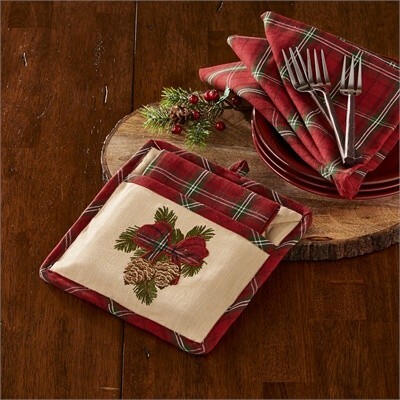 Christmas placemats feature moose, bears, pine trees, pine cones, beautiful white snowflakes with holiday wishes and greetings embellished with red checked plaid border and the matching plaid Christmas tree in the corner. 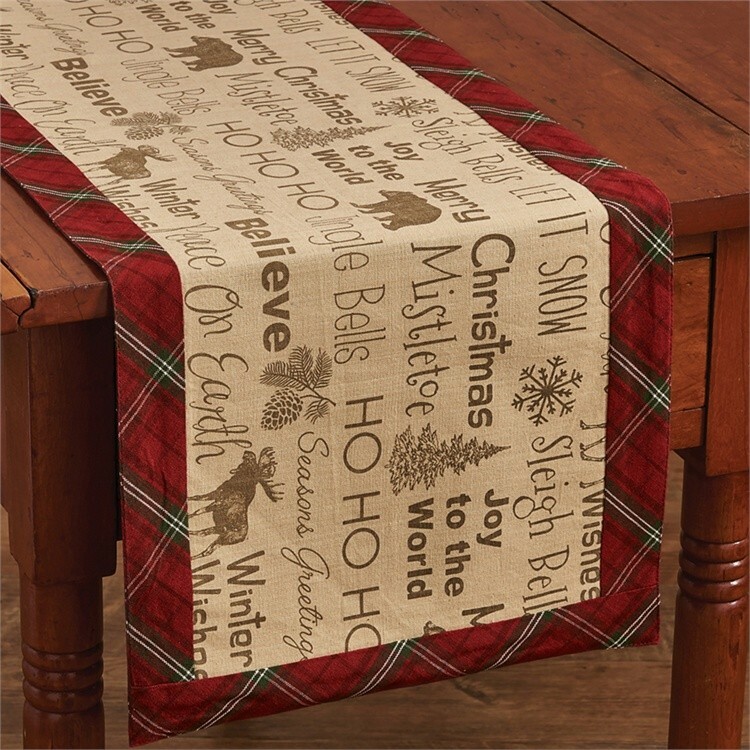 Measures 13" x 19", cotton. 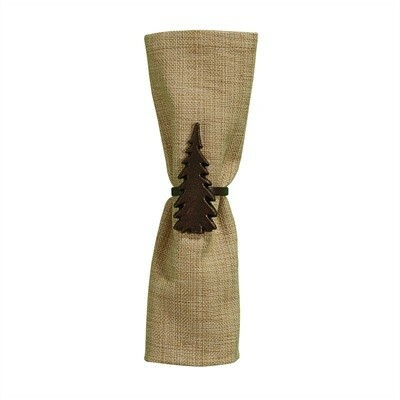 Matching Table Runner 36"L, Napkins 18", Pocket Potholder Set (includes dishtowel), and the Pine Tree Napkin Rings are available.